A few comments from AA bloggers to summarise that rock-bottom performance. 20 minutes gone and Fabianski has yet to touch the ball. Playing across the back is fine but can’t we just try and attack? What a brilliant pass from Mesut and a terrific finish. How typical, we score and then concede within 2 minutes … will our training staff ever pick up on these repeated patterns …. we switch off after we score!!! Defensively dreadful from Xhaka. He looks at Clucas and just stands still whilst he runs past him into our box. I don’t care what anyone tells me, there is no way he has ever been a HM player. He just doesn’t see danger at all. We are being outplayed by the bottom team in the PL. They are faster to the second ball, more dynamic, more organised in defence and overall comfortable. We have been crap. May as well not have a manager or strikers if we are going to do stuff like that. Terrible. Possession football – what is the point of it exactly? Arsenal sides in the past few years have always tended to have excellent numbers in terms of possession. This has also been reflected in the number of chances we’ve created. The worrying trend this season, and away from home especially, has been that our possesion stats have stayed high but the number of chances to score have been plummeting. 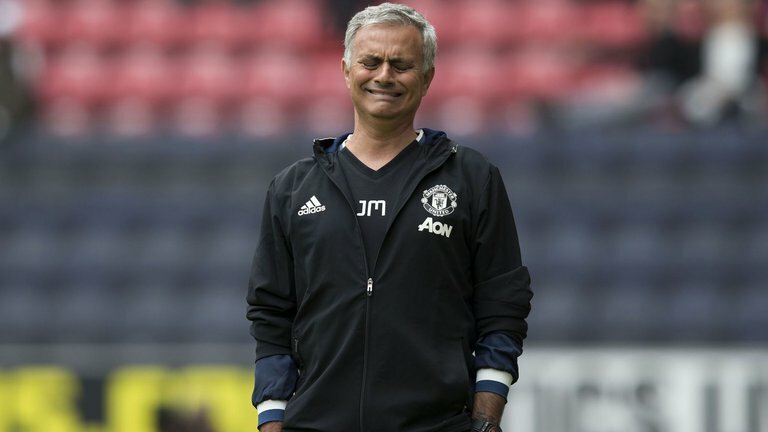 What is the point of continually holding on to the ball in non-threatening positons and then losing it immediately you get anywhere near the opposition’s 10 man defence? Players are scared to lose the ball by making potentially chance-creating passes. Our football is stale and how to play against us has been worked out, polished and then perfected by the poorest of teams. 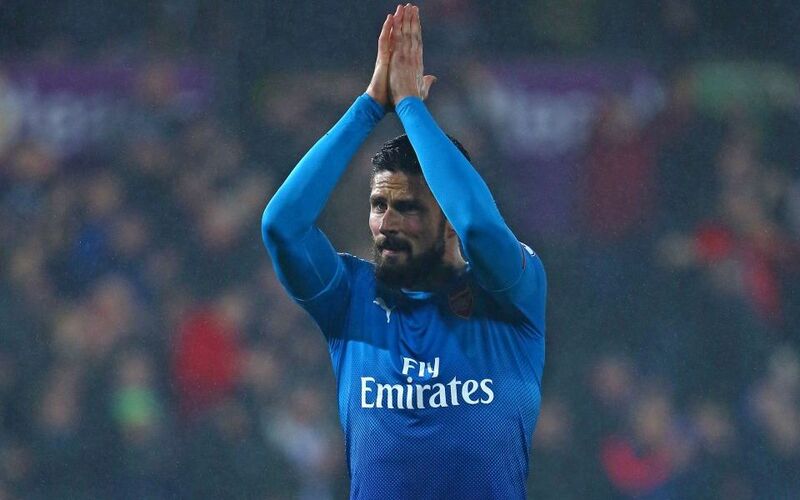 Giroud looked as sad as the Arsenal Away Boys. A bread and butter win against a poor Palace, with Özil out, presumably to flu, it gave us a chance to see what life would be like with a proper Mesut injury and to my surprise it didn’t look as bad as I feared. His absence seemed to embolden some; freed from having to pass it to the German Genius whenever he is available; players started to express themselves more than usual and it worked well. The Good Guys moved the ball around crisply and seemed to advance with a greater sense of urgency on the break. I will take those kind of wins all day long. Ozil is better than Bergkamp. Match Report. Character building, yes, character building is the way I would describe that win and probably the best preparation for Sunday we could have had. What, I hear you say; surely another six-nil win would have been better giving us the chance to rest Ozil and Sanchez after seventy minutes? Not necessarily, there is no way it is going to be a stroll in the park on Sunday and if we go a goal behind we will have had very recent experience in knowing how to put it right. The same goes for if we are two down but I don’t want to dwell on that possibility for too long. What I am saying is that we are in good shape and are now completely prepared to face the knuckle draggers. Ludogorets looked pretty good in the first twenty minutes at the Emirates and if it wasn’t for a couple of fine saves from Ospina we could have just as easily have been two down inside the first twenty minutes then. Things didn’t fall inch perfect for them in that game but they did last night and they also had luck on their side: the ball was drilled at speed towards Xhaka who no more than turned away but the referee who was poor all night wrongly gave a free kick from which they scored; our defending wasn’t at its best, but it was one hell of a good cross. 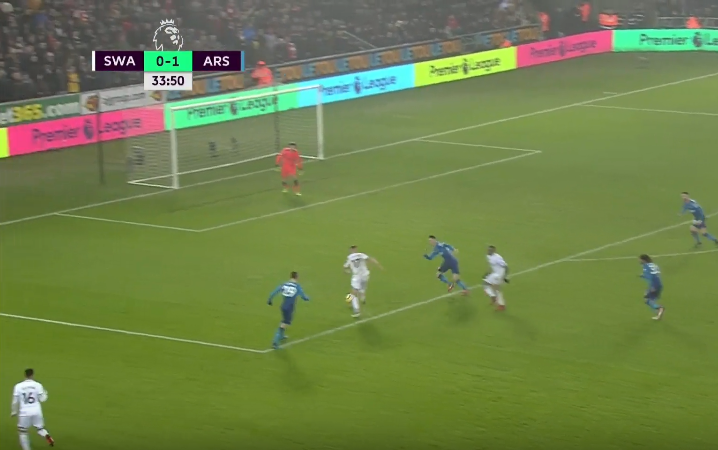 Shortly after, Gibbs was given a Brazilian by one of their nippy players who played a slide rule pass into our box for another one of their nippy players to slot home. Don’t ask me their names I don’t know and I don’t care. Two down, things weren’t going to plan and we were looking rattled which showed in our hurried passing and unnecessary loss of possession; still, we do not sing that “we are by far the greatest team the world has ever seen” for nothing. The fight back was on. 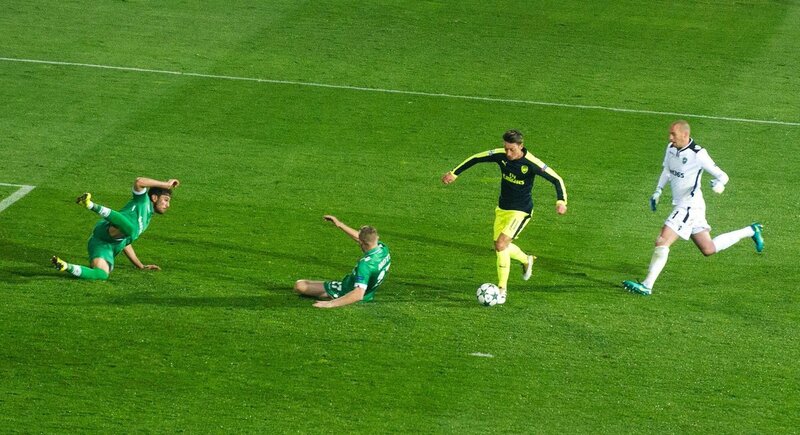 Özil of course was involved it was his cross from the byline that was missed by several players in the penalty area before falling invitingly to Xhaka who guided it home and brought us back into the game. The goal steadied the nerves, confidence returned and with it the accuracy of the passing. We were the better team overall but they were still looking dangerous on the break. Ramsey was everywhere or so it seemed; a tireless engine, superb vision and my man of the match, it was his pinpoint cross that enabled Giroud to bring us back on terms: a well-taken header from the man who seems to push himself just that much more when he perceives his starting place is under threat. Do you remember the last time he was out for a while and Theo seemed to have taken his place? When the FFP did start again he scored something like four goals in four games. Two on Sunday, Ollie, and the world will be a wonderful place. Chances fell to both teams in the second half and the game could have gone either way, I had resigned myself to a draw and had already persuaded myself that two-two was not a bad result away from home and all that. But Mesut Ozil had different ideas which leaves me in the really bad situation of having to try and put that goal into words; save from a long list of superlatives, I can’t. Strange how the EFL Cup has become such so much fun. A few years ago it was just anther fixture to be got through in a busy PL/CL season and one we hoped would not result injuries; today it is (IMO) more interesting than Boro last w/e. A. It doesn’t really matter if we win or lose. B. We get to see the depth of our squad and in particular the young stars of the future. C. It is potential Silverware (though not open-bus through Islington silverware). Tonight we entertain Reading. A Reading who not so long ago were a PL team with good players and Steve Coppell as manager. Not so any longer and one must wonder why. Reading is a rich town, has a fine ground with a good fanbase evidenced by an expected 5,000 travelling fans tonight. They have a good man at the helm, Jap Stam is a proper bloke, anyone who stands up to the Whisky Sodden SAF is OK in my eyes; whether he is a good manager is another thing altogether but I wish him well. Players? No idea. I only know Paul McShane, who plays FB for ROI, and Steven Quinn who played for Hull when we smashed 😀 them at Wembley in 2014. Our team is just a guess. I am delighted that Corporal Jenkinson makes his Emirates return tonight and hope he has a brilliant game. Hector is just magic but we need a proper back up. Anther player returning is Didit’s favourite player Mr Giroud. I look forward hearing that Beatles dirge at least once tonight. This team has two chaps with double barrelled surnames. I like it. Could this be a marketing plan to increase the costs of replica shirts? If so, AW is a genius and expect more such signings. I expect a tough but open game and hope for a win. Actually what I really, really hope for is a repeat of the 7-5 of which I am sure Chas will find a video for our entertainment. To be quite honest I had absolutely no idea which country PFC Ludogorets Razgrad came from until I started writing this. Bulgaria is the answer and I sincerely hope my appalling ignorance and downright lack of awareness is not matched by the manager and team of Arsenal Football Club. Looking at Ludogorets’ record in the Champions League, their biggest home win was 1-0 v Basel in 2014 and their biggest away defeats were both 4-0 to Basel (again) and Real Madrid (both in 2014). At present their biggest away win is …… non-existent. A continuation of that record for another few days would be great. (n.b. they’ve only been in the group stage once before) . Razgrad itself is in north-east of the country and a couple of Bulgaria’s famous landmarks have parallels with landmarks in England. First there is the Bulgarian Icarus statue. 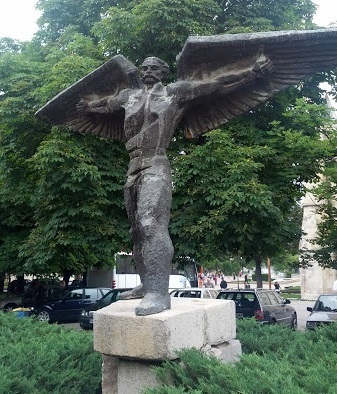 According to legend, the man known as the “Bulgarian Icarus” was also a builder. Apparently a Turkish Sultan survived a terrible disaster, so he decided to build a mosque in Edirne in gratitude to God. At that time, Bulgaria was part of the Ottoman Empire. So, the Sultan summoned the most famous builder and this was Bulgarian, Manol. He worked for seven years and constructed a miraculous temple. After it was completed, the Sultan asked him: “Can you build a more beautiful mosque than this one?” and Master Manol replied: “One always has more to learn. Maybe I made some mistakes here that I will avoid in the future and I will be able to build an even more majestic temple.” Hearing this, the ruler ordered that Manol be shut in one of the mosque minarets until his last breath. The inventive craftsman, however, managed to create another miracle – he designed himself wings made of wood. And one day, the people in Edirne saw a huge flying creature soaring in the sky and heading home to Thrace. In this way, Master Manol managed to save his life and turned into a favourite hero in Bulgarian folk tales and songs. 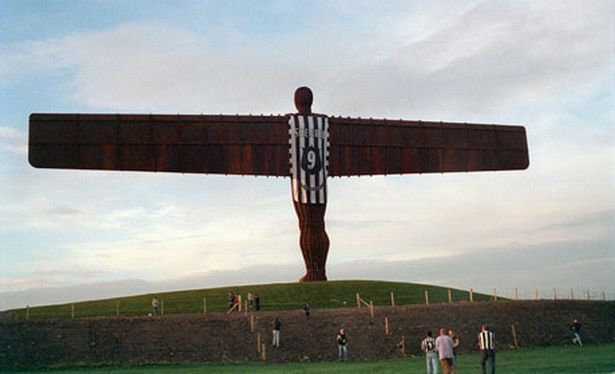 This tale reminded me of the Angel of the North statue when some Geordies launched an enormous Alan Shearer shirt over its shoulders. Whilst the statues have similarities, Master Manol and Mr Shearer are almost polar opposites, one an educated and erudite craftsman builder and the other a football pundit. 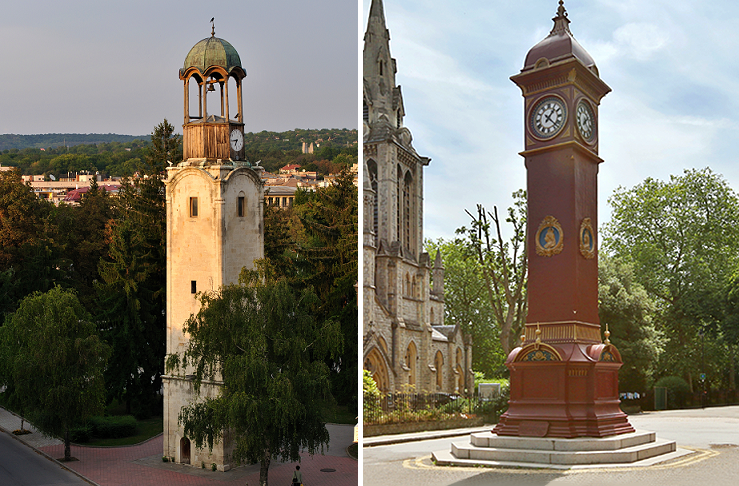 The second parallel is between the beautiful Razgrad clock tower and our own clock tower at Highbury Barn. It would appear Rambo and Ollie G. are continuing to train alone. I’d imagine Granit will start due to a soon-to-be enforced absence from the Prem and EFL Cup (cheers, J. Moss). It appears we emerged unscathed from the Swansea game so perhaps the team isn’t likely to be changed to any significant degree. Perhaps Kieran Gibbs could get a game after Nacho’s run around on Saturday. Oh, and Oooooooooooo-spiiiiiiiii-naaaaa may get the goalkeeper jersey. ‘Complacency’ seems to be the watchword for everyone with regards to this game. Theo and Shkodran have both issued warnings to their teammates to be on their guard against assuming it will be an easy and straightforward 3 points. Each and every player has to be thinking the same, especially after escaping by the skin of our teeth against Swansea. Note…. Big Raddy is currently on manoeuvres in Ireland and without pre-match writing facilities. Thankfully this hiatus from normality will only be fleeting. P.S. we need a nickname or shortened version of Shkodran. Any suggestions? Who is Arsenal’s Top Scorer in the Champions League? Lovely warm Autumn night, great stadium, very good opponents, a night to look forward to. Win or draw (I never mention a loss) I will enjoy our return to the Champions League, our 19th season in succession. Can we get further than the last 16? We haven’t since 2010; if Arsenal are to be taken seriously as a top team then we must reach at least the quarter-final. Can we? Much will depend upon tonight’s result because if we leave Paris with at least a point we are in the box-seat to win the group. But let us not feel too relaxed – PSG remain an Oiler team who have so much money that they paid €22m to get rid of a manager – that is a Perez! PSG have only lost one of their last twenty home games in the CL and have reached the quarter finals in the last 5 seasons. Here’s a question. Without googling, do you know who is Arsenal’s top scorer in the Champions League? Have a guess but no cheating. As to Arsenal, the knowledge that Kos is recovered and will start is a huge fillip – the man has developed into a cornerstone of the team; who would have thought so when Vermælen was our defensive pivot? The defence picks itself but in midfield we have so many combinations – given that Santi played 90 minutes on Saturday I expect him to be riding the pine. My guess is that Xhaka and Elneny will start with the intention of protecting the back 4 in an away fixture. 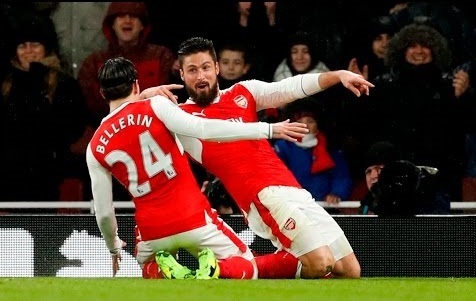 Giroud is certain to return but a poor performance could see him behind Perez as our main striker. Many are concerned about OG’s inability to become a clinical finisher but he is the best we have. 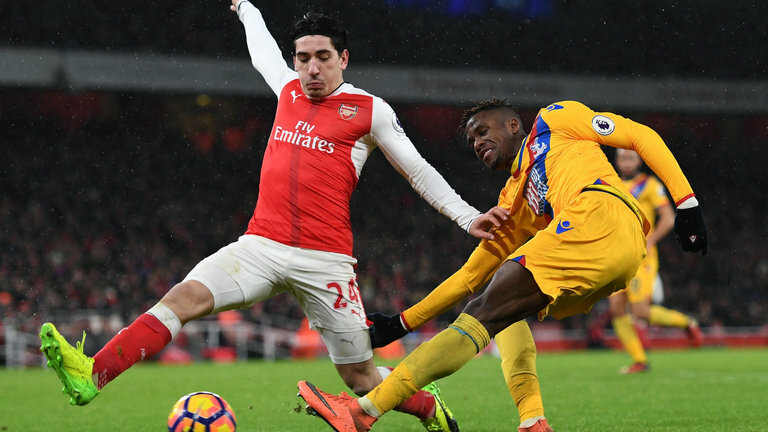 Perez may well prove to be the player we need but on the evidence of Saturday he has a settling-in period to go through. This team may be a little too attack-miinded for AW, we may see Theo dropped to make way for Ox or Iwobi who are better defensively. Can we win? As always my answer is, Why not? Arsene has pointed to the mix of age and experience in the squad. Almost all our players are used to high pressure CL games and this must have a positive effect. Let’s hope so.